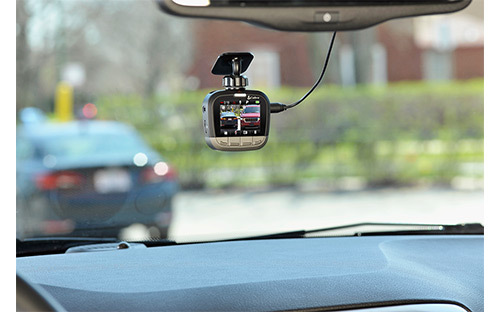 Dashcams are becoming a must have. Whether you're a professional driver, doing the daily commute, or chauffeuring the kids around it's handy to have a record of what's happening on the road. 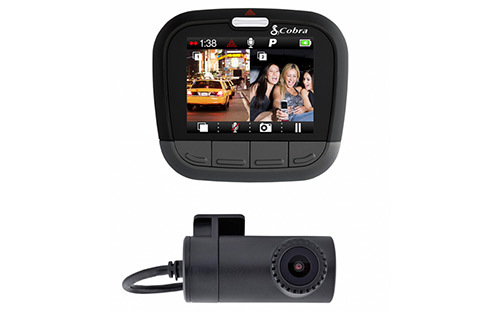 The CDR895D from Cobra you get two HD cameras to record not just what's going on in front of you, but behind as well. The front camera boasts an ultrawide 160 degree viewing angle and records in 1080P resolution, while the secondary camera has a 130 degree viewing angle and records at 720P resolution. 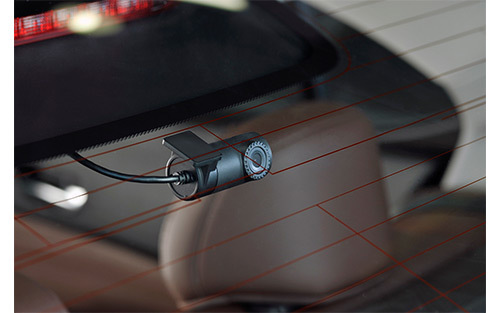 The secondary camera can be used on the front windshield to record what's happening inside the vehicle, or you can use the 20 foot cable to attach it to the rear window to record behind you. 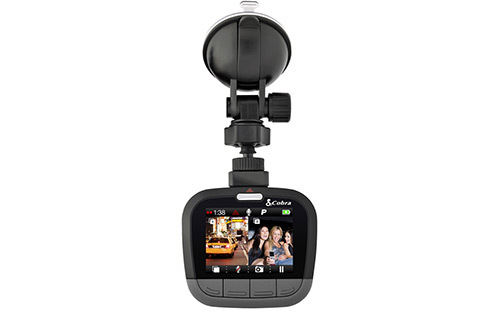 Both cameras can record and be viewed simultaneously on the built-in display.